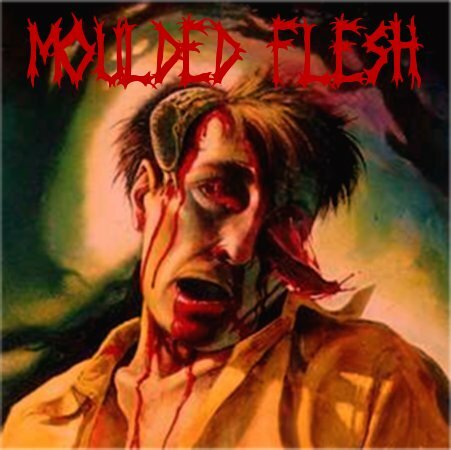 MOULDED FLESH is a band from Rybnik, Poland and performs death metal that you could associate with early achievements of the genre. The band came into being on the debris of black metal band called DEBRIS (which unfortunately had recorded no stuff). In February 2001, after the collapse of DEBRIS Tomek aka Harnaś (g) and Ciapek (dr.) decided to keep on composing but in a different direction than previously... After a few months of rehearsals Wojtas (voc.) and Bodzio (bg.) joined the mates. Little time was needed to complete and arrange songs, to enter the studio and to record the first-ever demo “Indulgence”, which has been added to the 3-way split CD with TOMORROW'S VICTIM (USA) and PERVERSE (PL) released by DEUS MORTUUS PRODUCTIONS (USA) and EMBRACE MY FUNERAL RECORDS (MEX). In the end of 2002 Bodzio was replaced by Adrian for short, and MF existed as a trio for a while - Tomek (g), Ciapek (dr), Wojtas (voc) - giving some decent gigs still. During the spring 2004 Duszek (bg) of SUICIDE MACHINE joined the band, and shortly after Ciapek was replaced by Tarki (CRAWLING DEATH, THE ODOURS). 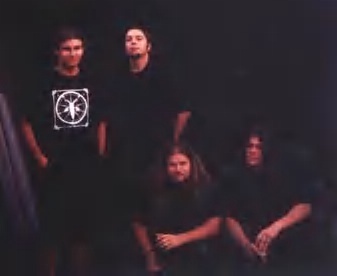 With the beginning of 2005 the band recorded their second stuff "Use and abuse" in well recognized Selani studio (VADER, DIES IRAE, etc) followed by several damn good live shows. In the autumn 2005 Tarki and Duszek decided to left the group and Tomek started to record tracks for the 1st LP "In the Hands of Evil" to be released on 8/10/06 by DEUS MORTUUS PRODUCTIONS (USA). With support of Leon and Rafal of Deneb, Harnas commited 8 tracks of death metal in Leon's PwMChS Studio. In the meantime live line-up has been moulded, which was preceded by varous changes and surprising come backs. Current line-up is as follows: Harnas (g), Fryta (g), Krychu (bg), Ciapek (dr) and Wojtas (voc).